Dugi Otok is an island located close to Zadar on the mainland, and is the largest among the islands located in this part of Dalmatia. Its name literally means ‘long island’ – for it is indeed of this description (it is 45km long) – and is known for its vineyards and orchards, Saharun beach in the north, and Telascica Nature Park that covers the southern part of the island. 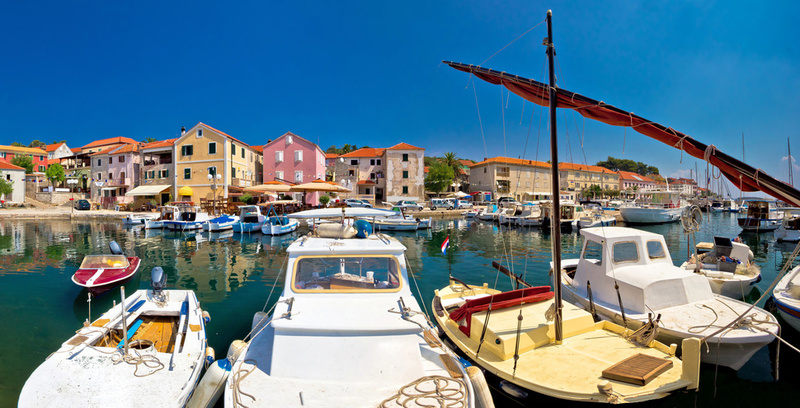 With a population of just 1,500 people on Dugi Otok, the main villages are Bozava and Sali. Dugi Otok is a wonderful place to stay if you’re looking to get ‘off the beaten track’! Despite Croatia’s obviously popularity, even in the summer months this island well and truly provides travellers with some peace and quiet, although there are still some wonderful things to see and do here. 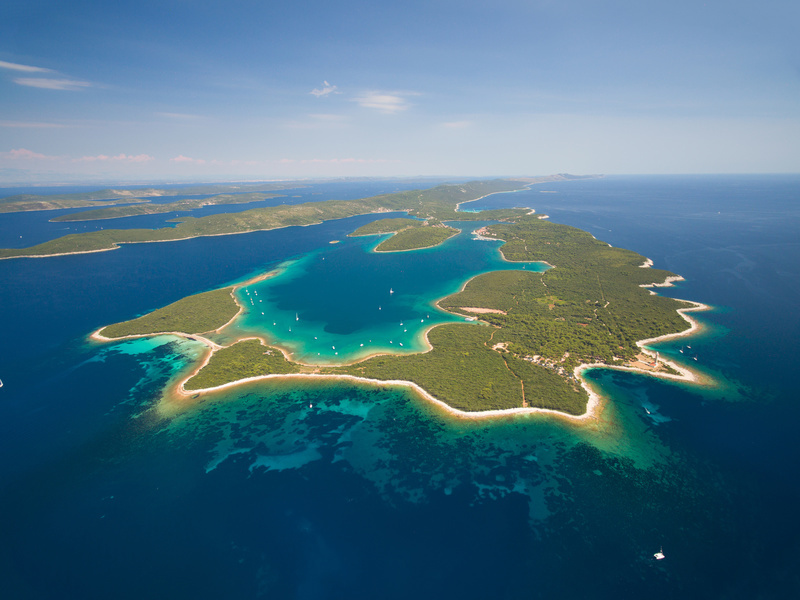 The island is also suitable to visit as a day trip from Zadar. There is a year-round, daily Jadrolinija car-ferry from Zadar to Brbinj on Dugi Otok which sails twice a day in low season, and three times a day in high. Journey time is 1 hour 20 minutes. There is another, year-round Jadrolinija car ferry that sails from Zadar to Bozava on the north-eastern part of Dugi Otok. It is 1 hour 10 (or 20) minutes to Bozava; the ferry stops at the very small islands of Rivanj and Sestrunj on the way. G&V Line Iadera run a year-round catamaran service to Sali and Zaglav on the southeastern side of the island from Zadar. The boat sails to both places on its outbound route, by only from Zaglav on the return. It takes 1 hour and 10 minutes from Zadar to Sali, and a further 20 minutes to Zaglav. Undoubtedly, one of the island’s biggest draws is the secluded Saharun beach. This beach, surrounded by pine trees, enjoys crystal-clear waters practically as far as the eye can see. The Daily Telegraph has an excellent guide to this beach: see Saharun beach, Dugi Otok, Croatia: Secret Seaside. Telascica Nature Park centres around Telascica Bay, from which the park got its name. 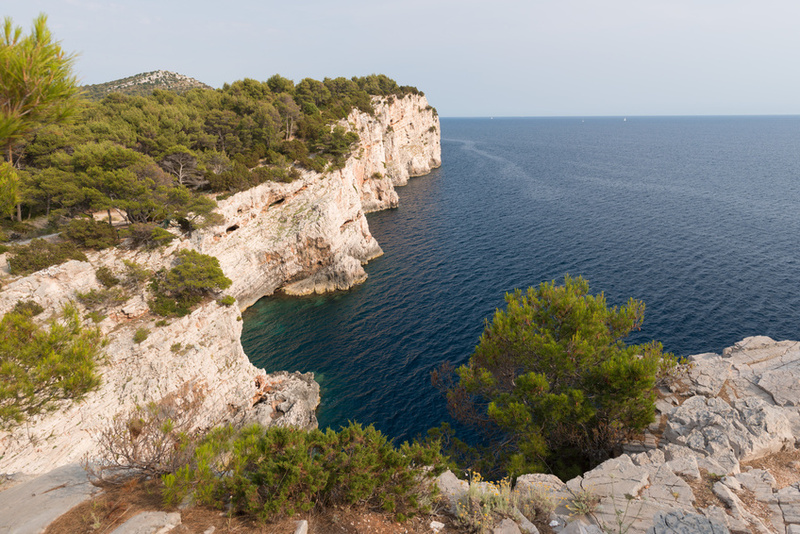 It is well known for its coves and small islands, as well is its cliffs – the highest of which is Grpascak, at 161m high. Lake Mir is another sight well worth visiting in the Park – this salt-water lake (which is connected to the sea by underground channels) is both warmer that the sea in summer and colder in winter; the temperature of the water can range from 33C to 5C during the year. There is a relatively wide variety of plant and animal life to see in Telascica, including assorted marine life (such as crabs and sea urchins), coral and sponges. You may also be able to see falcons that nest on the cliffs in Telascica, and it is not unusual to see dolphins swimming off the coast. There is also a small donkey sanctuary – donkeys once being a large part of day-to-day life on Dugi Otok – in the park. Full details on what to see and do in Telascica Nature Park can be found on their website. One of Croatia’s eight national parks, the collection of islands that make up Kornati National Park are just south of Dugi Otok. It’s therefore a great place to organise a day trip to the National Park from. The Triathlon Long Island takes place on 23rd September 2018. There are only a few hotels on the island, plus several campsites and a selection of private accommodation options…including the opportunity to stay in the island’s lighthouse! See all the details of these options on our Accommodation on Dugi Otok page. Having your own car is ideally the best way of exploring, as bus services on the island are pretty infrequent. You can also easily rent your own wheels – whether that’s a bike or scooter – when on Dugi Otok to help you explore! There’s plenty of information on the island at the official Dugi Otok tourist office website.